This tournament is in its 12th year and is established as a top spring event and attracts teams from throughout the Midwest. This year the tournament will be open to teams of all levels of play within the following age divisions – Boys U8-U19 and Girls U8-U14. The 2019 KC Champions Cup Tournament will be held in two of the nations finest soccer facilities with all games on turf. 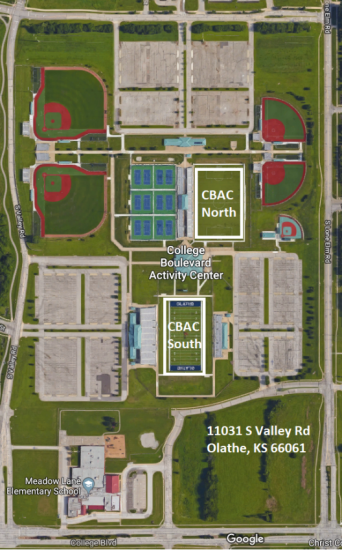 Scheels Overland Park Soccer Complex and Olathe Soccer Complex. Play at the ‘State of the art’ $36 million soccer complex in Overland Park, Kansas and the New Olathe Soccer Complex. Great central location in Overland Park and Olathe, Kansas. Team Check in will be held from 3:30 PM until 9:00 PM on Friday April 13th, 2018 at the Scheels Overland Park field house which is located in the center of the Scheels Overland Park Soccer Complex. The complex is on the Southwest side of 135th & Switzer. To enter the complex, turn south from 135th street onto Switzer and turn right at the first traffic light into the park. Travel permit for all non-Kansas registered teams. **Please be aware that US Club Soccer and USSSA do not issue travel permits, these are only required for US Youth Soccer affiliated teams. Please take the time to make sure that you have all of the above documentation available when checking in. If any paperwork is missing, then it must be provided by one hour prior to the first game. No player may be added to a team once that team’s first game has started. No player may play on more than one team in the tournament. Any out of town teams that are unable to check in on Friday evening may check their teams in up to one hour before their first game on Saturday. Staff will be available to check teams in at the Overland Park Soccer Complex from 6:00 AM onwards on Saturday morning. Arranging player cards and medical release forms in alphabetical order will really help to expedite the check in process.